Over the past twenty years there have been significant changes in where America shops. Mall shopping had begun to lose market share to other retail forms. Changes continue today, requiring developers and retailers to rethink old patterns to stay competitive. 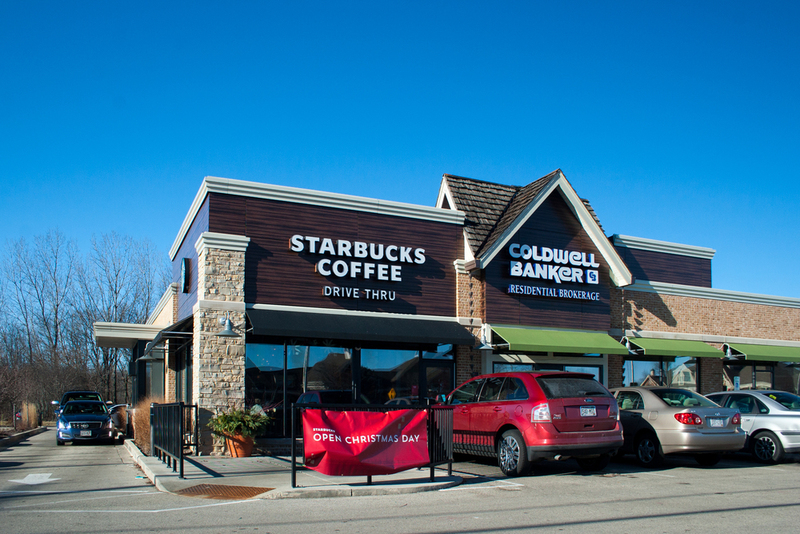 The alterations of this aging center relies on creating a fresh appearance for Starbucks, and put the emphasis on street-side convenience and easy pedestrian access. Lifestyle focused centers are replacing the mall experience by attempting to create a sense of community with positive social experiences. These niche centers are smaller and focus on food, entertainment, music, and books. These centers are successful in affluent markets and focus on “shopping,” not “buying.” Street-side convenience provides time-starved consumers with targeted destinations.